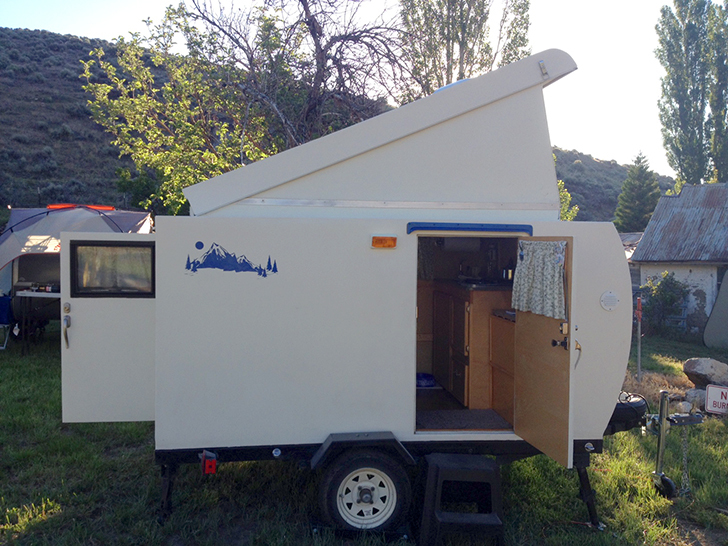 Sharon hand-built her “MyAway” trailer over the course of a few years. She can stand up inside, and the entire frame still fits in the garage. 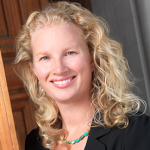 Sharon Heisley is from Northern California and spent a few years working on her own version of a self-contained camping trailer. Her ingenious “MyAway” trailer is around 1,150 pounds fully loaded and has a hatched roof that allows Sharon to stand up inside. 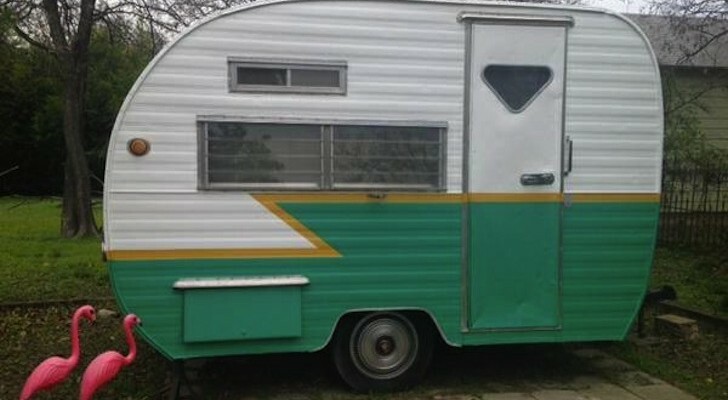 The trailer has a tiny kitchen, a dinette/bed, two doors, a camping potty cabinet, and a petite frame that fits neatly inside a standard garage. 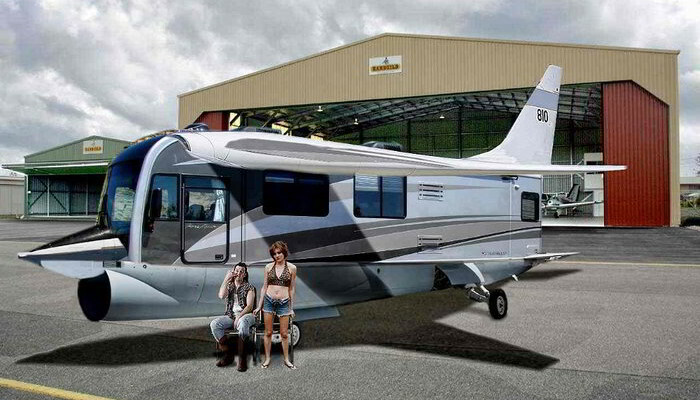 The “MyAway” with its hatched roof is only 5 feet wide by 8 feet long. 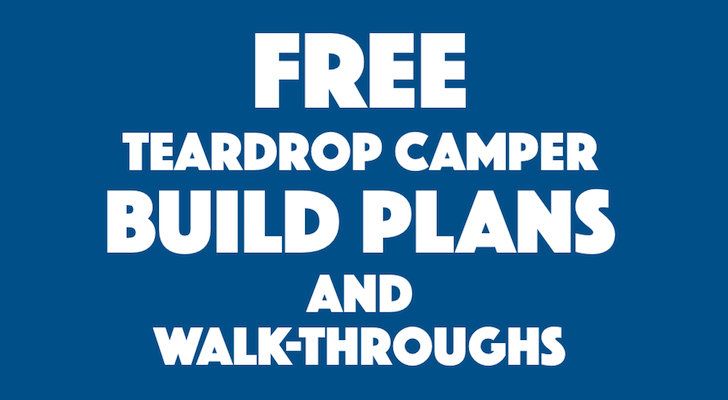 Sharon designed and built the trailer by herself with help and encouragement from the Teardrops and Tiny Travel Trailers forum. 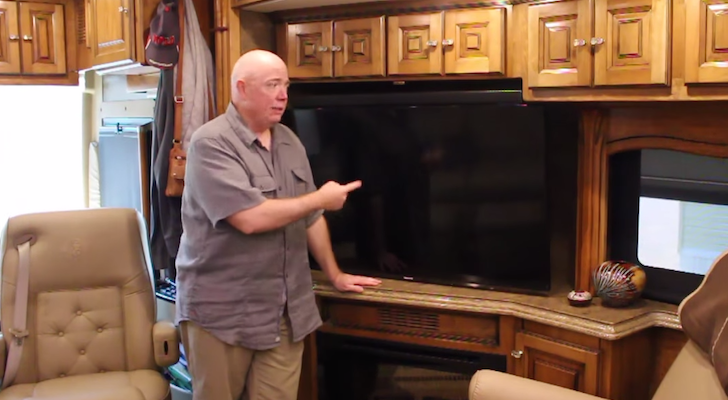 The trailer was built on a 5′ x 8′ Red Trailer kit and comes to about 76 inches high, with the roof hatch down. 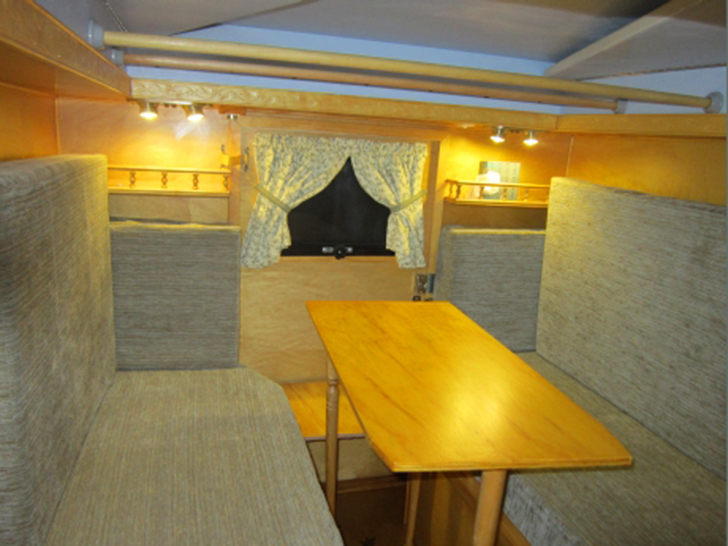 The dinette folds down to become a 61″ x 100″ bed. 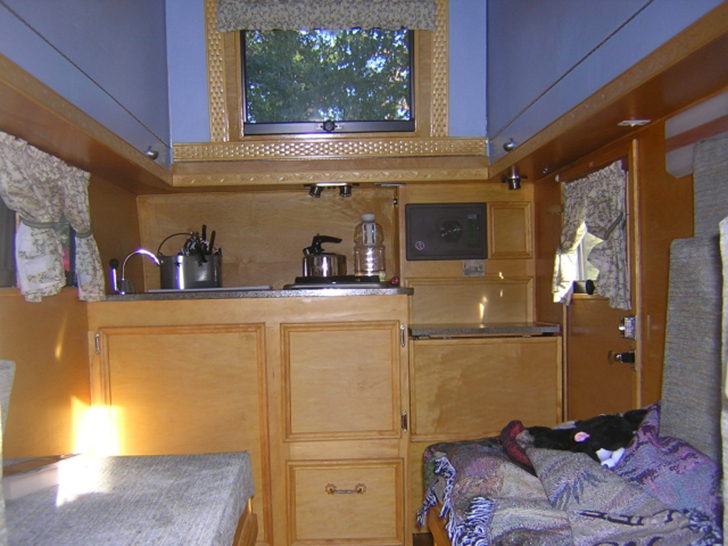 A small loft above the bed holds supplies and unused couch cushions. 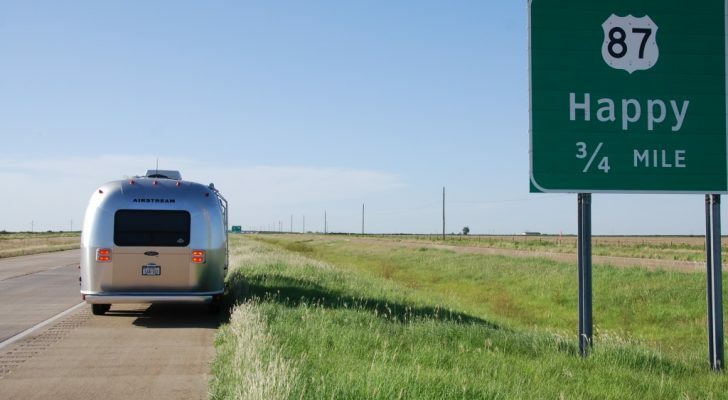 The trailer can be accessed by two doors: one that leads into the kitchen and a back door that leads to the bed and adds ventilation to the small space. A small footboard becomes extra, removable counter space and also doubles as a small breakfast table. 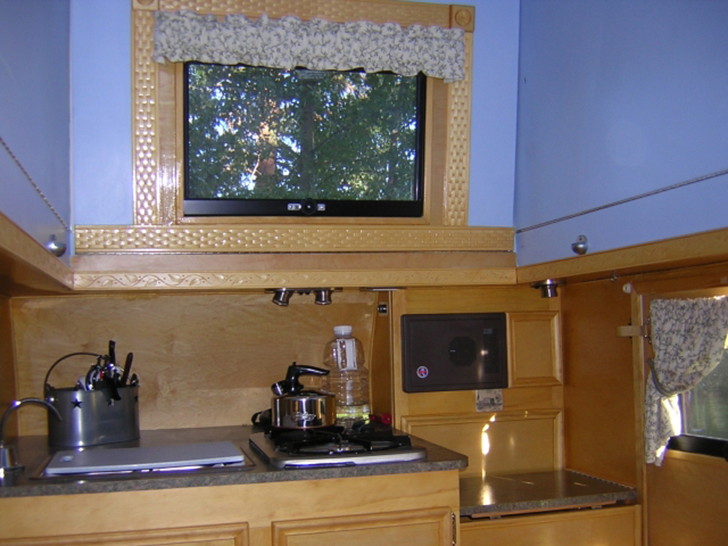 You can stand up inside the tiny kitchen and the dinette turns into a bed. 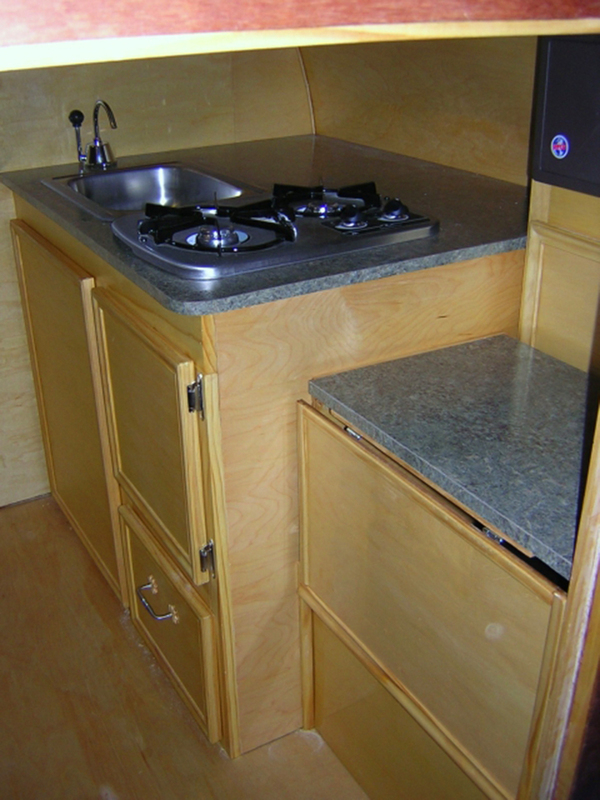 The tiny kitchen has a sink with a 12 gallon fresh water tank and a two-burner stove connected to a propane tank on the tongue. 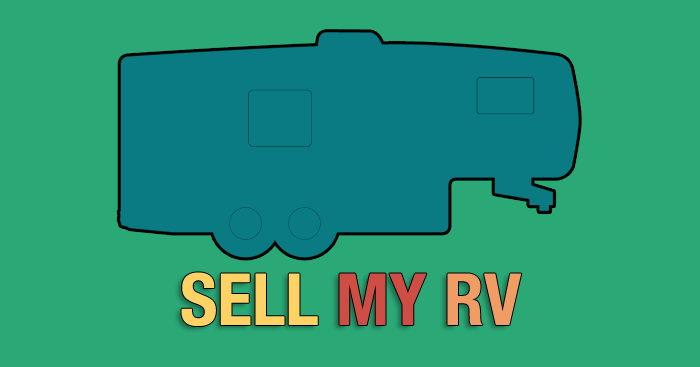 Sharon has plenty of storage throughout the camper, and a small cabinet hides her portable camp toilet. 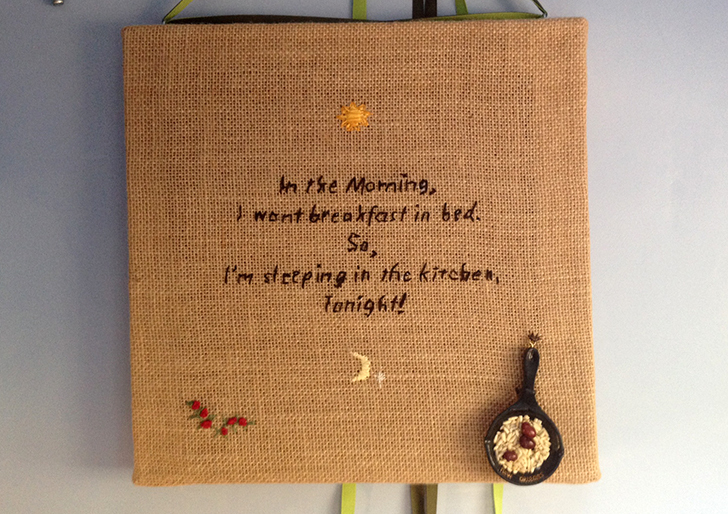 She also made a cross stitch frame that reads, “In the morning, I want breakfast in bed. So, I’m sleeing in the kitchen tonight!” The hatched roof came from plans by Andrew Gibbens in the United Kingdom. The hatch’s walls fold down in sections and the front section contains a small window. The dowel storage above the dinette holds the couch cushions at night. Sharon’s cross stitch camping mantra. 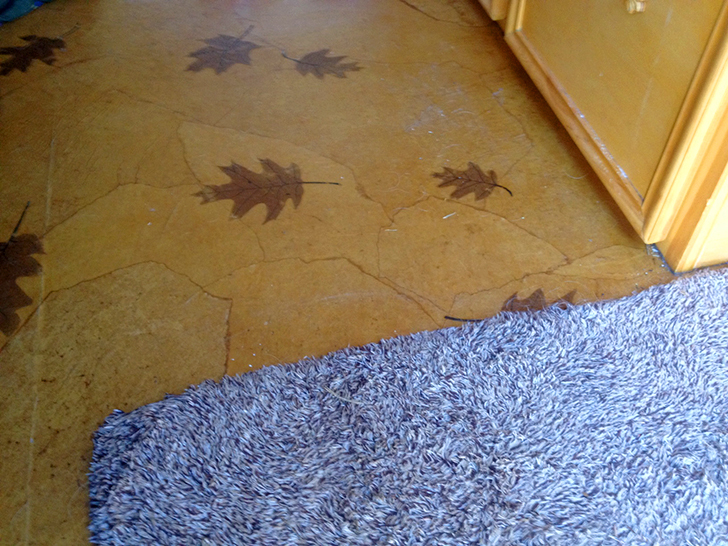 The floor was made with Kraft Paper and handmade leaves. 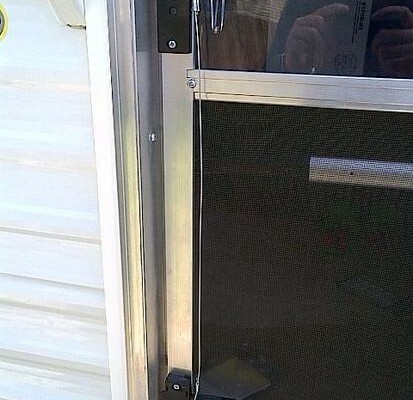 Sharon wanted her tiny trailer to reflect the outdoors as much as possible. The blue interior paint came from the color of the sky, the curtains have a nature theme, and the floor has hand drawn and handcrafted leaves over layers of Kraft paper, covered with eight coats of polyurethane. The exterior of the trailer has two coats of epoxy primer and three coats of exterior top deck marine paint. Her entire build journal can be seen on the TNTTT forum. 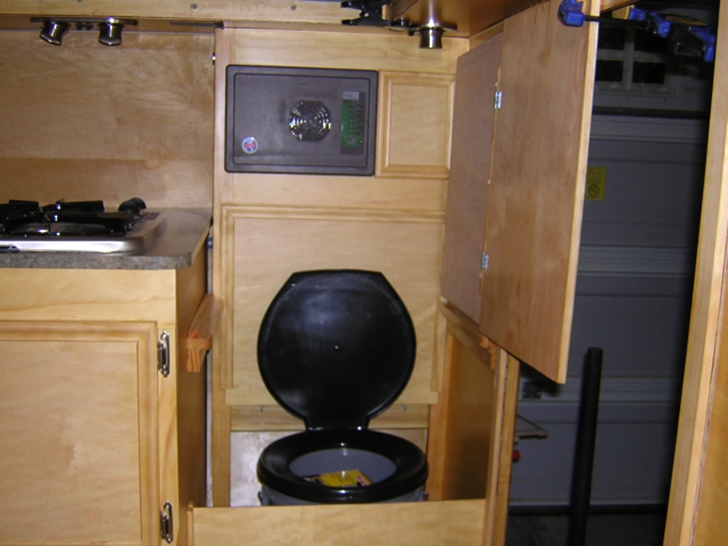 The camping potty cabinet can be closed up during the day.